WVL244 on the 68 yesterday showing Upper Norwood. It's been done so drivers don't have to wind the blinds all the way to the other end. 9052 on the 188 yesterday showing New Cross Gate as the destination. Unidentified 173 ENL without a front number blind, seen yesterday in Dagenham. WVL245 still has a blank rear blind. 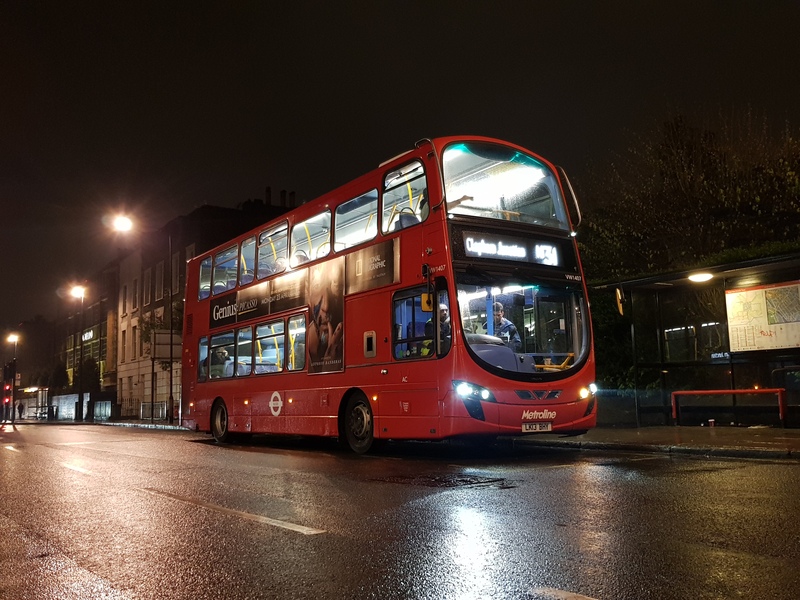 WVL245 on Route 1 with the destination blind showing Croydon Town Centre. VWL37 on Route 1 with no rear blind and N1 showing on the side blind. DW532 on the 106 with the rear route blind blank. 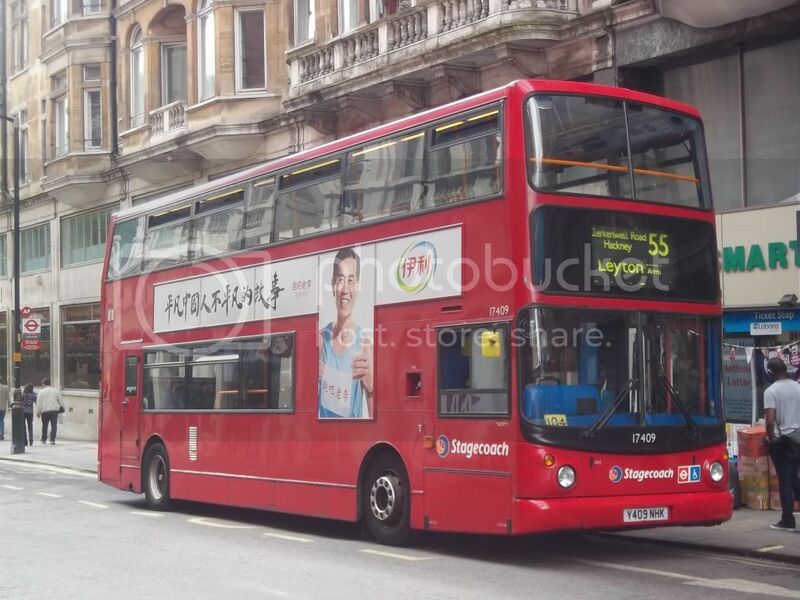 A Scania on the 48 with the destination blind stuck between two destinations. Pretty much every bus on SI's single decker routes with side blind problems. It wasn't like this before. A Volvo on Route 381 with the rear blind showing N381. 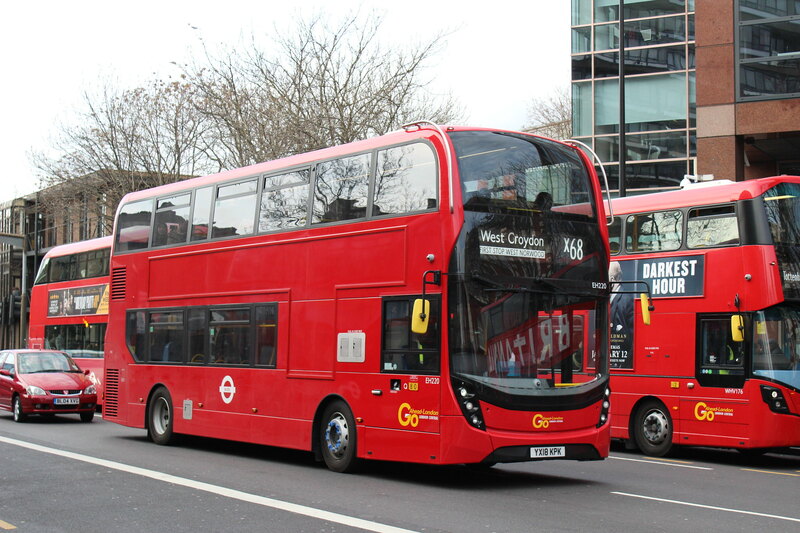 VWL39 on Route 1 with the front blind showing "N1 Aldwych". A WVL on Route 320 with the rear blind showing 261. Saw an SP on route 691 this morning with a blank front and rear blind and the side blind was filled in with a white on black blind for route 571 via Ham, Richmond Hill, Ham Hill and Richmond or something like that. 3957 on E10 blank blinds E10 A4 paper in front. blind - I'm as sure as I can be that the use of upper case lettering here would put it in breach of accessibility law. It'll be interesting to see how this plays out over the coming months. Hmm...I'm pretty sure I've already seen a 'Merton Bus Garage' blind on one of the 219's StreetLites. I thing it might also be on the SEs from that garage too. About time TBH. Sadly though, if that means we be swapping destinations like Norwood Garage for West Norwood, then I'll be less than impressed.